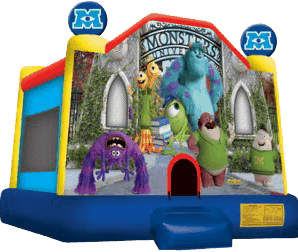 Join Sulley and Mike Wazowski in friendly monsteriffic fun with this colorful Monster University bounce house. 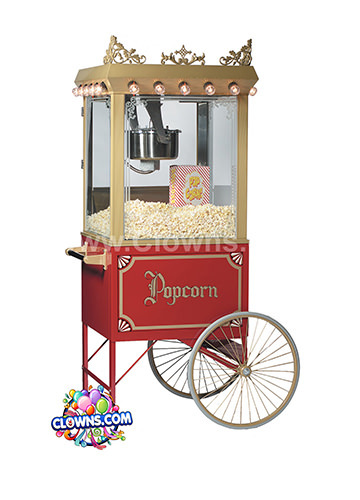 Bring these characters from your kid’s favorite movie into your own backyard with a fun and colorful bounce house from Clowns.com. 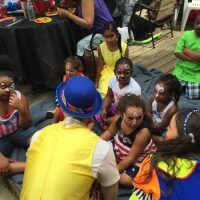 Clowns.com has a reputation throughout the greater New York City area for throwing fantastic children’s birthday parties and other events. Engaging performers lead children in songs and games. 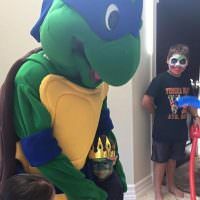 Kids get their face painted, temporary tattoos, and balloons twisted into animals. 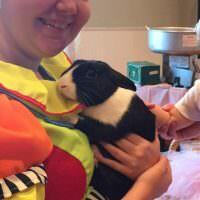 There is even a magic show with a live rabbit. 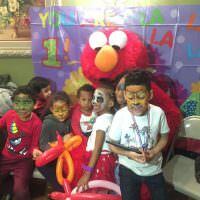 These parties and bounce house rentals are available in Staten Island, Long Island, Westchester, Manhattan, Bronx, Brooklyn, and Queens. 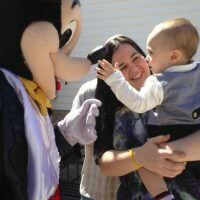 Throw a fun Monsters Inc party with a Monster University bounce house rental for NY. 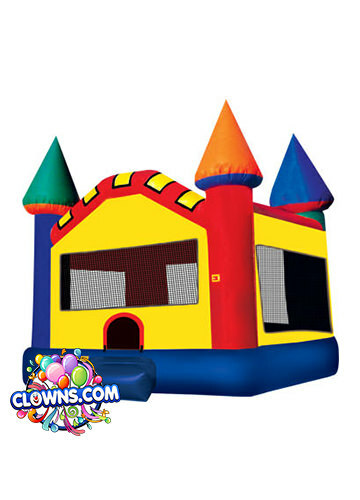 Children will run off all of the sugar from cake and ice cream in this fun and roomy bounce house. 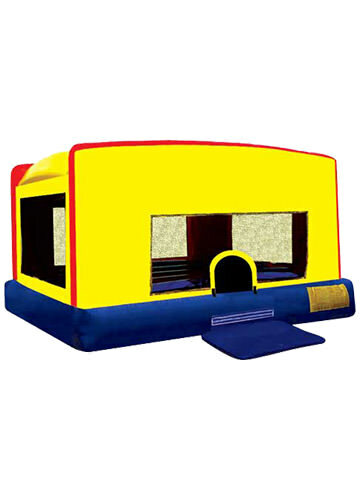 Made of lite n strong™ material, this bounce house is durable and fire-resistant. 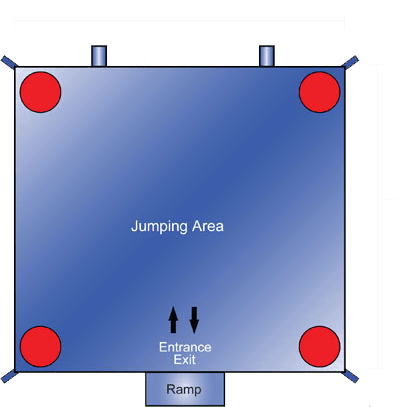 Parents can supervise kids through the 360-degree mesh windows. 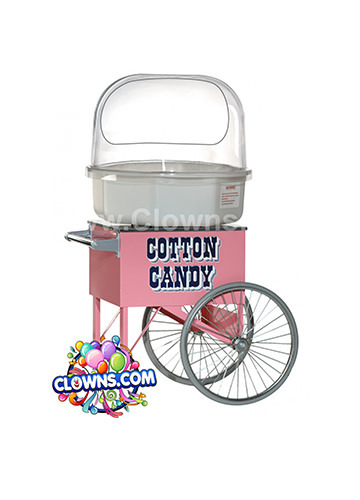 Clowns.com NY bounce house rentals are portable and will not require much set up from our team. 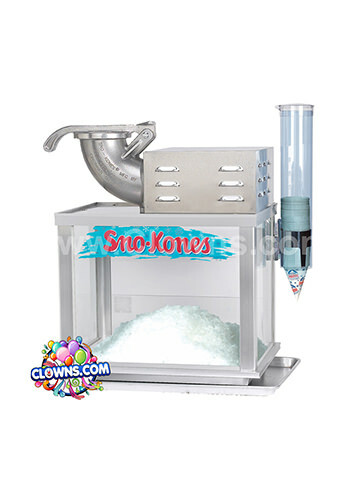 Make your child’s special day a memorable one with the help of the friendly monsters from Monsters Inc and the party planners at Clowns.com.